Fox caught in the act!!! 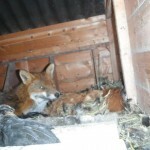 This Fox was caught inside a chicken coop after being well fed on 18 chickens, then later humanelt dispatched by one of our trained pest controllers. 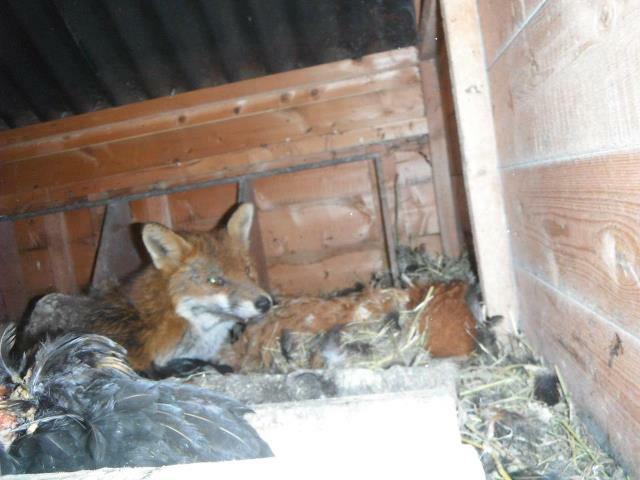 This same Fox had been caught previously and released by the home owners. As you can see he returned for another feast, but this time he had done the deadly deed once too often. We provide monthly wildlife management programs for your rural business. Equestrian centres and stable yards are perfect homes for unwanted pests. We can provide discrete services to your property.